We visited the Palace of Holyroodhouse when we honeymooned in Scotland more than two decades ago. It is the official residence of the British monarch when in Scotland and the site for state occasions and official entertaining. On the palace grounds are the ruins of an Augustinian abbey dated from the 12th century and named as Holy Rood/Black Rood by King David I, son of Queen Margaret, a Scottish saint, who was believed to own a relic of the True Cross on which Our Lord and Savior Jesus Christ was crucified. Holyrood is a special place to Highlander because this is where one of his ancient ancestors signed the chapel charter in 1127, the first official record of his clansman. Going a nutting do the devil’s work. Cross cookies can be made for christenings/baptisms, holy communions, ordinations, Lent/Easter and many other Christian celebrations, especially for the Feast of the Exaltation of the Holy Cross. 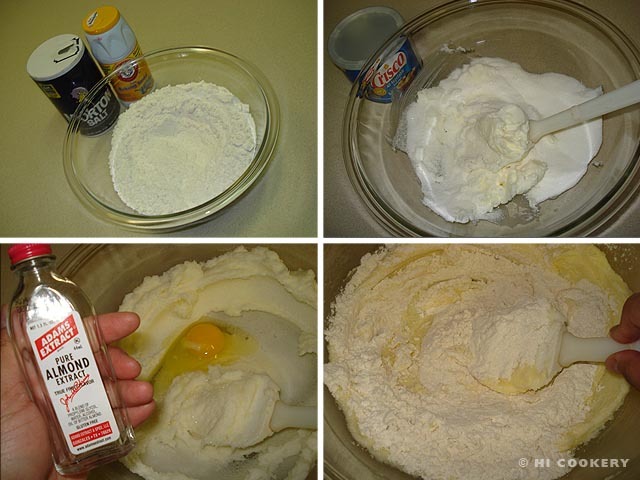 In a bowl, mix the butter with sugar until creamy. Beat in the egg and milk. Add the almond extract. Take one stack of flattened dough out of the refrigerator or freezer. Peel away both front and back to loosen, leaving the dough on one sheet of the waxed or parchment paper. Cut out the cross shapes. Place on foil-lined greased cookie pan about 1 ½ – 2 inches apart. Refrigerate the cookie pan. Re-roll scraps of dough and cut more shapes, refrigerating if the dough gets too soft. The dough needs to be cold and firm in order to retain its cross shape. Bake the cookies in a preheated oven at 375 degrees F for 10-15 minutes or until the sides are very lightly browned. Remove from the oven when done and let sit on the pan for about five minutes. 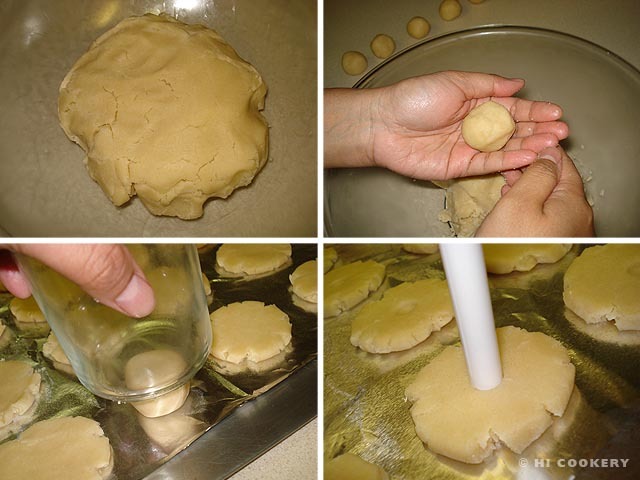 Transfer each cookie on a wire rack to cool completely. Store in an airtight container until ready to decorate. Using the same cross-shaped cookie cutter, cut out shapes on white fondant (roll out to 1/8-inch thickness on a clean surface that has been dusted with a bit of powdered sugar to prevent from sticking). Use a fondant impression mat, if adding decorative texture to the fondant is desired. Cover the fondant cross cutouts with plastic wrap to avoid them drying out while working on assembling the cookies. Brush water or piping gel on the cookie (see Notes). Position the fondant on top of the cross cookie and smooth out the edges with warm fingers. Repeat for all cookies. Set aside to dry. Tint some white fondant with purple or other food coloring. Roll out to 1/8-inch thickness on a clean surface that has been dusted with a bit of powdered sugar to prevent from sticking. Use a small flower cutter to cut small flowers. 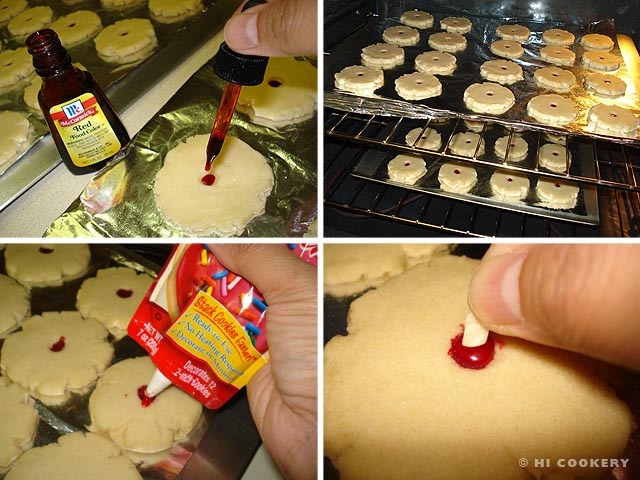 Brush piping gel or water and position the flower in the middle of the cross cookie. Use the white tube frosting to pipe a round center in the middle of the fondant flower. Use the green tube frosting and a leaf tip to pipe leaves on the flowers. Let dry. Serve cross cookies on a platter. 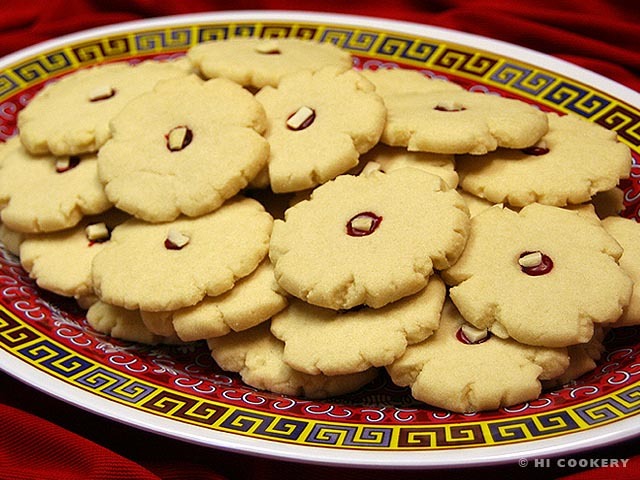 For a nuttier taste, brush almond extract on the cookies in place of piping gel or water before positioning the fondant. We used a fondant imprint mat from Wilton called “Graceful Vines”, which may be purchased online. If available in local craft stores, use a coupon to get a good discount like we did. The cross is the iconic symbol of Christianity. Find “Glory in the Cross” from the Billy Graham Evangelistic Association’s web entry. The “Prayer of the Day” is appropriate for Holyrood Day and every day.